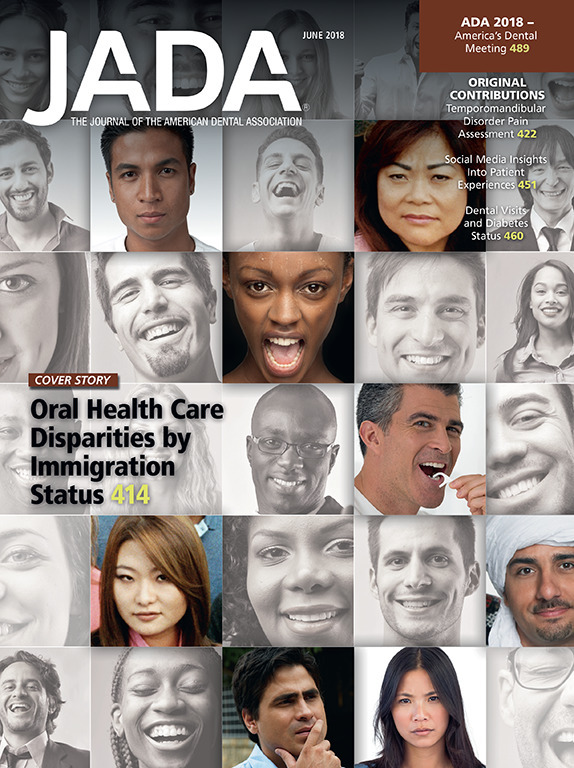 Few investigators have explored differences in oral health status between immigrants and natives. To address this gap, the authors used nationally representative data to characterize disparities in oral health among noncitizens, naturalized citizens, and native adults. The 2013 to 2014 National Health and Nutrition Examination Survey, a nationally representative in-person survey, provides oral health data for US natives, naturalized citizens, and noncitizens. Univariate and multivariate regression analyses were conducted to compare evidence of caries and periodontal disease, as well as recommendations for oral health care, stratified by immigration status for adults. Key Words: Dental health services; caries; periodontal diseases; health policy; dental care; dental public health; minority groups; public policy; public health or community dentistry; vulnerable populations.